Slugs and snails are a common sight in every garden but sometimes they make their way into the house. Not that you’ll be able to spot them (they tend to come out at night) but the slimy, criss-cross snail trail they leave behind on your rugs, carpets and hard floors will tell you all you need to know. What to do? Slugs and snails are mollusca, a group of invertebrates – meaning they have no bones – and they are harmless creatures. Snails have hard shells on their back that they retreat to when they sense danger; they also hibernate during the winter. Slugs don’t have shells and they are present and active all year round. Outside, they live under stones and in nooks and crannies in the garden where they hide during cold or sunny weather. They come out when it’s damp and dark and can wreak havoc on your flower or vegetable beds. Of course, outdoors there are natural predators such as hedgehogs, birds, chickens and ducks to control the population. But what if a slug gets into your house? Slugs have a good sense of smell and are often attracted to pet food, kitchens or pantries. Being invertebrates, they have the advantage of being able to squeeze through the tiniest of cracks or crevices – space under doors or between floorboards, joints along walls, holes drilled for pipes or wiring; they can even climb vertically or upside down. So how do you keep them out? 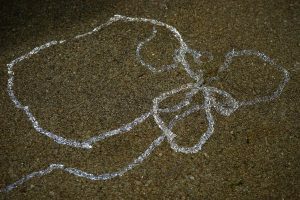 Take a close look at last night’s snail trails (a torch can be helpful) and trace them back all the way to any entry points. Obviously, in the unlikely event that you spot any slugs, remove them immediately! Next, check for any holes and gaps under cupboards, along walls, around doors, pipes and vents – anywhere that could have provided an entry point. Seal any gaps using silicone sealant for small cracks and expanding polyurethane foam for larger gaps. Get some slug pellets from a DIY store or garden centre – but beware that there are different types. Old style slug bait contains metaldehyde which is poisonous not just to slugs and snails but to pets, birds, wildlife and people too. The new generation of slug pellets is based on iron phosphate which is effective for getting rid of slugs, but is harmless to children, pets and wildlife – a much better choice all round. Place slug pellets around all likely entry points (inside and out) and anywhere slugs are likely to hide – under the fridge, behind cabinets etc. Once the bait is eaten, the slugs will stop feeding and crawl away to die a few days later. If all else fails, and you’re desperate to eliminate the slimy mess from your floors and carpets, use salt. It’s a cruel way to kill a slug because salt essentially melts slugs – all that’s left is a slimy mess of salty goo to clean up – and therefore not recommended, but it does do the job. Once you’ve successfully dealt with the slug problem, all that’s left to do is get everything nice and clean again. Treat your carpets to a professional deep clean to eliminate every last disgusting bit of snail trail, and be extra vigilant about hygiene around the home.